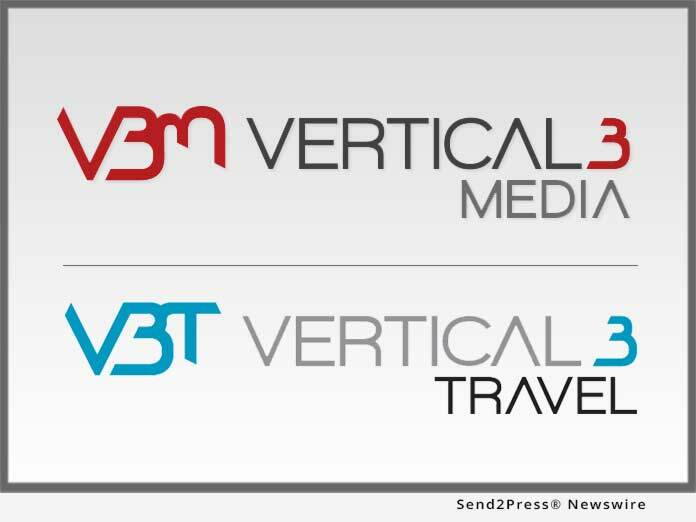 MIAMI, Fla., Oct 18, 2018 (SEND2PRESS NEWSWIRE) -- Vertical3 Media, the Miami-based digital advertising and marketing agency, announced today that it is launching a new division, Vertical3 Travel, to boost the already booming hospitality and travel sector in Miami. V3T (vertical3travel.com) will assist hotels and other tourism-related clients looking to boost their bookings and sales with media and marketing services specifically tailored during years of experience optimizing results for the travel industry. Core Services include Digital Media Planning and Buying, Programmatic Advertising, Native Advertising, SEM/SEO and Social Media. "At Vertical3 Media we are incredibly pleased to be celebrating 8 years assisting a select group of very successful clients from a wide array of industries, including travel and hospitality," said Juan Jos e Nunez, Founder & CEO of Vertical3 Media. "Through that work, we realized that there was an unmet need for a local, Miami-based digital media agency built specifically for the growing needs of the Tourism and Hospitality sector. We are excited to build upon that success and offer Vertical3 Travel to assist this important client base and help them thrive. As they grow, so does this beautiful community we call home." Vertical3 Travel will draw on the insights and experience amassed by Vertical3 Media as it contributed to the success of clients like Melia Hotels, The Greater Miami Convention & Visitors Bureau, Sunny Isles Beach, Royal Caribbean International and Bahia Principe Hotels & Resorts, to name a few. "Through Vertical3 Travel, we will help clients optimize the return of investment of their marketing and branding efforts and more effectively sustain growth. Our team combines a deep knowledge of the hospitality audience and competitive landscape, expertise in all aspects of traditional and digital media, and an absolute dedication to the hospitality and travel sector. We are in a privileged position to provide our clients with effective solutions to reach potential customers and surpass their marketing goals while keeping costs at bay." While V3T will be focused in the local hospitality market, as an integral part of Vertical3 Media it will offer advertising and marketing services within the U.S., Latin America and Spain through offices in Miami, Bogotá and Barcelona. Vertical3 Media is a Miami-based digital media marketing and advertising company specialized in providing solutions for rapid growth. The agency offers a wide array of services in the digital & traditional media fields to meet clients' needs and help them reach their goals in the U.S., Spain and Latin American markets. Vertical3 Travel (V3T) is the newly launched division of Vertical3 Media, designed to boost growth for the travel and hospitality sector. Find out more at http://vertical3media.com/.